Even an innocuous, grooming task such as trimming nails is not left untouched by superstitious beliefs. An ancient European belief forbids a person from cutting nails on Sunday and Friday; cutting nails on Friday invariably brings bad luck and on Sunday attracts evil spirits. Another superstition doing the rounds in 19th century Europe was that a mother should never cut the nails of the child before it's first birthday and if she does so the child will grow up to be a thief. India too has its share of superstitious beliefs regarding nail cutting. In India, at least in the part of South India where I grew up, there is a belief that cutting nails after dusk is a bad thing. Moreover clipping nails on Saturday and on the day of the week you were born is supposed to bring bad luck. So most people avoid cutting nails on these days. Sure some of these superstitious beliefs seem to be silly and you may well disregard them and cut your nails at your convenience but do it in an hygienic way. 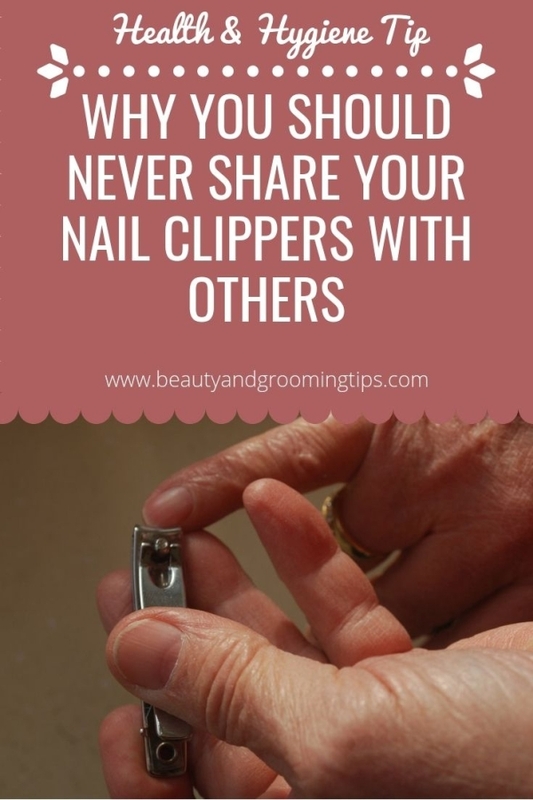 Just as you never share your toothbrush with anyone, you should never ever share your nail cutter / clipper with anyone, no matter how close there are to you! You may think that the person to whom you are lending your nail cutter is having clean and healthy finger & toe nails. Even then you should not take the risk, as the person may be harbouring nail fungus or warts, unknown to you. There is also the risk of transmitting blood-borne viral infections if while clipping the nails, a person injures the skin and contaminates the clippers with his / her blood. Nail fungus is the single most common infection affecting the toe nails and the area between the toes for most people. So sharing nail cutters is a strict no-no and should be avoided under all circumstances. 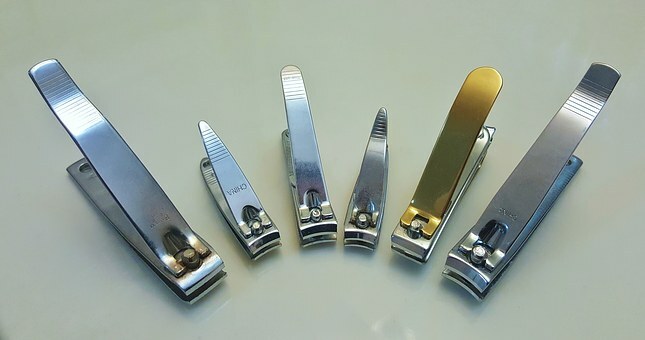 Invest in a good pair of nail clippers exclusively for your use. Choose a sturdy one made from non-corrosive, long lasting materials like stainless steel. 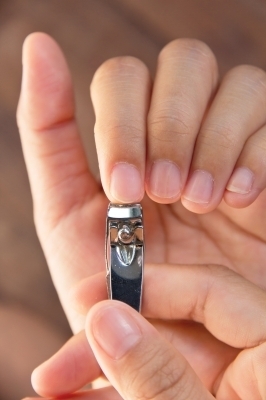 Great nail clippers are an essential grooming tool in your beauty arsenal. Always wipe your nail clippers with surgical spirit or alcohol such as this before and after using it, but never ever exchange your nail cutters with anyone. So are you already following this hygiene tip? Did you ever use somebody else's nail cutters or did you ever share your nail clippers anytime? If you did, then do remember the above mentioned advice and refrain from sharing your hygiene products with anyone howsoever close they may be! Even if it looks like both people have clean and healthy nails, clippers still pose a risk because they're used where warts and fungus hide out on our fingers, toes, and soles. Sharing them could lead to nail fungus or even types of HPV that cause plantar warts. You can wipe the clippers in alcohol after each use, but you should probably just keep them to yourself.